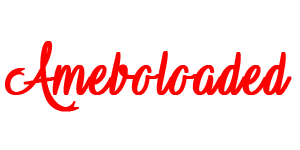 In this post am going to show you some Twitter Tricks (Hacks) you can try out on your Android device or PC. Twitter is a very grown and popular Social Media, which most of use for marketing, Get latest news update, though the updates you get on your Twitter is based on type of people or organizations you follow up with. it’s advisable to follow more people in your preference. 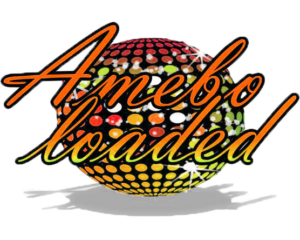 You can also follow popular blogs like @ameboloadedd and sites like Nairaland, Lindaikejisblog, Naijaloaded, etc are all on Twitter updating followers. But in this article, we are discussing the hacks (tricks) you can perform on Twitter to make it more interesting and fun. So check them out below. Below are some tips and tricks to try out on Twitter for Android. Just go to Settings > General > Image Previews to change to picture links. 2. Did you know that you can use more than one account on your Twitter app? Unlike some other social media apps, you can use two or more Twitter accounts on the same account. Go to Accounts > Add Account to set up a new account. You can also switch between accounts from there. 3. Twitter has a feature called While You Were Away. This brings you the best tweets posted since you last launched the app. you cannot turn this off, but you can reduce the times it is shown. Just tap on the cross icon. After that, tell Twitter you didn’t like seeing this feature on the next dialog box. 4. Making it easier for people to find you on Twitter if you want. Or you can make it hard. Go to Settings > General, then choose whether you want to be found by email or phone number. 5. Adding location to your tweet. When you compose a tweet, you will find a map pin icon at the bottom left of the screen. Tap this to attach a location to your tweet. You also need to activate Location on the General tab of Settings. 6. Customizing your app notifications in order to avoid getting alerts every five seconds. Open Settings, tap on your Twitter handle, then choose mobile notifications. You can select what actions will cause you to get notifications. You can also turn off notifications altogether. 7. Sharing tweets outside the app itself. Just tap on the Share button and you can sendit to apps like Dropbox and Gmail. 8. Refining your search results on the mobile app. However, it will not be as good as on desktop. On the search results screen, tap on the two sliders icon. There, you can limit your query to photos, videos, news, people and more. You can also look for nearby tweets.